Classic New England Farmhouse in the heart of beautiful Richmond! This spacious home with four good-sized bedrooms is situated on 11.39 acres hosting incredible and sweeping Berkshire views. Relax with a good book in the light-filled sunroom or venture out for a backyard adventure! Conveniently located near the sought after Richmond School, Tanglewood and so many local attractions. 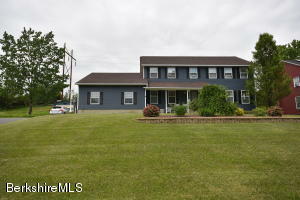 This special property also has a large detached garage with three bays, power, and loft space above. Amazing mid-century modern contemporary! Seeking one level living? Spacious inviting front entry leads to fireplaced living room, formal dining, updated kitchen with spacious sitting area that opens to rear deck. The walls of windows and vaulted ceilings will make you think you are one with nature! Wood floors throughout! 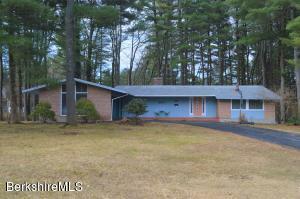 Master with updated bath; two additional bedrooms, updated full bath & first floor laundry. Lower level finished family room, exercise/craft room and half bath. Two car garage, natural gas heat, central a/c and a new (2018) roof all contribute to a move-in ready home. Add to that magical gardens and plantings - woodland, shade, & Japanese gardens, all viewed from your private rear deck. Must see immaculate Trova-built home in quiet country neighborhood setting! Beautiful light filled end unit with hardwood floors at South View Condos. 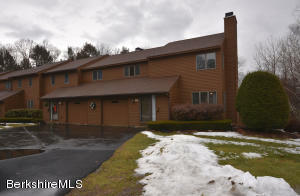 Large unit 3.5 baths, fully finished carpeted walk out basement including two decks overlooking a wooded private area. Eat in kitchen, fireplace and garage. Laundry on first floor. South View Condominiums are situated on the Pittsfield/Lenox line close to Tanglewood and just minutes from all shopping available on the Pittsfield Lenox Road. Association is professionally managed and has excellent fiscal management. Remarkably maintained contemporary home with so many beautiful features! The ground level offers a spacious living area, french doors opening to a beautifully landscaped patio, bedroom with walk-in closet, office/laundry room and full bath. The second floor includes an open kitchen and living area with an amazing pond view, oversized master bedroom with a private deck, 2 spacious bedrooms and full bath. 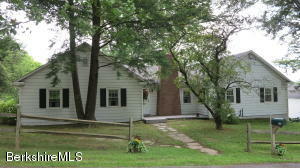 This home is convenienty located, sits on a private wooded lot, has a gorgeous pond view and is an absolute must see! This gracious center hall colonial located in a desirable location of Dalton. Updated Kitchen with granite counters, Stainless appliances. open kitchen great room/family room. Formal dining room, formal living room, laundry, large foyer. The second floor has a generous master bedroom with two walk in closets, Bath with large soaking tub, walk in shower and double sinks. There are two more bedrooms and a full bath.The landscaped blue stone patio is great for enjoying those summer days after a swim in your heated pool with easy access walk in stairs. Charming neighborhood with sidewalks for that evening stroll under the storybook street lights. 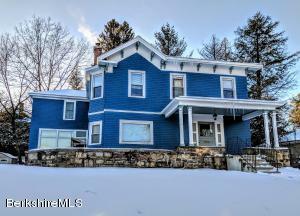 Live in the heart of the historic theater district of South East Pittsfield in this spacious charming home steps away from cultural, and entertainment venues. Walking distance to theaters, museums, galleries and restaurants. Owner has had home freshly painted, new siding installed and renovated kitchen and bathrooms. This home awaits your personal style. 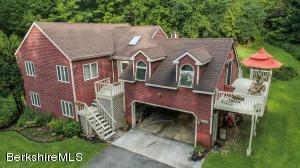 Popular but rarely available two bedroom plus loft condo at Jiminy Peak. End unit, vaulted ceilings, lots of character. Easy walk to slopes. Syndicated web sites may direct you to an agent other than the listing agent. Farmhouse cottage with apartment on 8 acres with splendid pasture views. Two bedrooms, plus a den with two baths in the main home, two bedrooms and one bath in the apartment. Wonderful set up for rental or extended family. On a pretty pastoral road, 5 minutes to Tanglewood. Priced well below assessment. Newly listed renovated END unit with incredible views off the back deck. 3 bedrooms and 2 full baths. Comes with 2 private parking spaces. 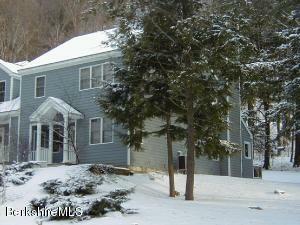 Close to the snow shoe trail and walking distance to the private pool. This is a condo to be enjoyed year round. 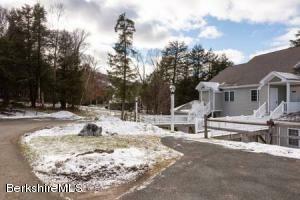 Short walk to the slopes as well as other amenities. Syndicated web sites may direct you to an agent other than the listing agent. Freshly painted interior and ready to show! It will be a special buyer who is fortunate to call this unique Richmond residence their new home. 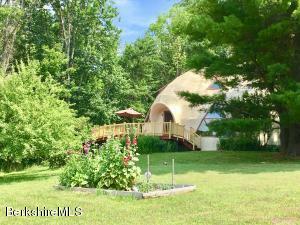 Overlooking peaceful fields and the distant Berkshire hills, this one-owner geodesic dome features a grand open great room, 3 or 4 bedrooms, an office, a den, bonus rooms, a wonderfully large sunny deck, two car garage, an abundance of storage space, and a studio set apart from the main house. Mature trees, and open field, on a very low traffic country dirt road. Propane heat, well water, and a huge full basement. Drift off to sleep gazing at the stars. 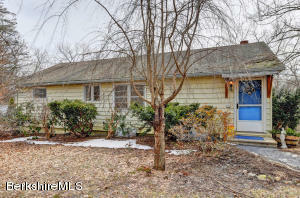 With some imagination and updating, this home will be spectacular! 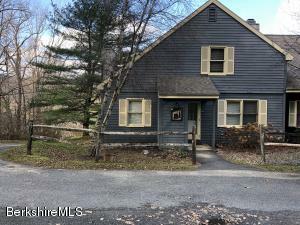 2 Bed, 1 Bath fully and newly furnished condo is super conveniently located in the Village Center area of Jiminy Peak on the top level (no noise, fantastic views). It is steps to the lift, with its own storage locker and features really beautiful views of the mountains and the ski slopes (virtually 360-degree views). Our spacious bunk room is perfect for kids or another family since it has two twins over full bunk beds, as well as a day bed and can sleep easily 7 and has its own TV / gaming space with effective light blocking 2-inch wood blinds on the many windows. Master bedroom has new queen mattress, dresser and seating area, and flat screen TV. The large, well-appointed bathroom has a jacuzzi tub/shower combo, storage galore and double sinks. Three zoned central air and heating. Located high on the hill with spectacular western views, this lovely condo gives a feeling of comfort and expanse. Light and airy with high ceilings and an enduring appeal. This unit sports a wide sunset view, living room with fireplace, first floor master with a fireplace, powder room, eat in kitchen overlooking the private courtyard. Hard wood floors. Wrap around deck. Fronting on Richmond Pond, this community offers swimming, fishing, boating, pool, walking and tennis. This is a well loved condo community. 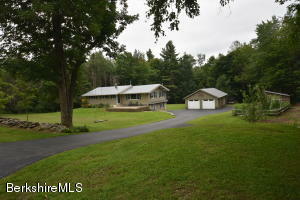 Conveniently located over the mountain from Tanglewood, and just south of Pittsfield's active theater community. $20,000 PRICE REDUCTION! SELLER SAYS SELL IT! Best view from your living room. Great location. 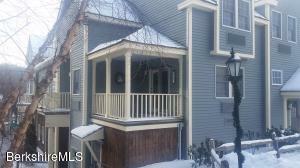 Check out this two bedroom, two bath with loft in Thatcher House of Village Center. Views of slopes, covered deck, wood burning fireplace, vaulted ceilings, and many new improvements of modern kitchen and baths recently completed. New price. Syndicated web sites may direct you to an agent other than the listing agent. 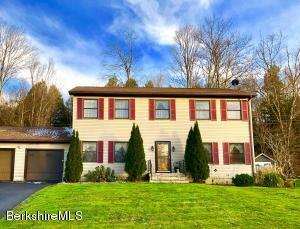 Modern & spacious 4 bedroom 2.5 bath Colonial in Southeast Pittsfield. Efficient natural gas heat. 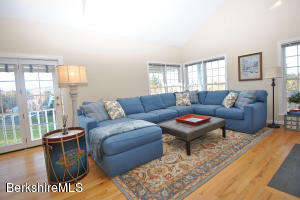 Many amenities throughout this home! Including walk-in closets, large-open concept kitchen, 1st floor laundry, natural gas fireplace, master bedroom suite w/ jacuzzi tub. Huge lower level w/ entertainment bar and space for playroom or exercise room. Extra large shed for storage. 2 car attached garage. Wonderful family home. 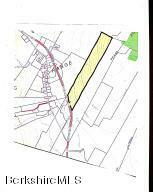 Easement to Electric Company. 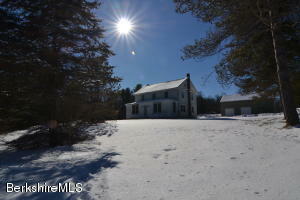 Just a couple minutes from Jiminy Peak, this 85.2 acre lot is tucked away in the rolling hills of Berkshire County.